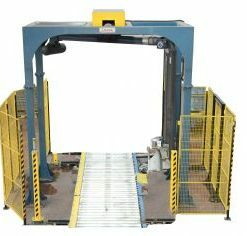 -Jmss The palletizing line is mounted behind the conveyor. 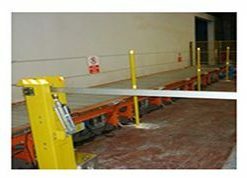 – The pallet from the exit conveyor is automatically inserted. 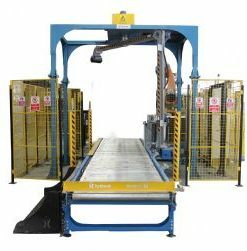 – The incoming pallet is lifted by the lifting mechanism to start wrapping the pallet at the bottom. 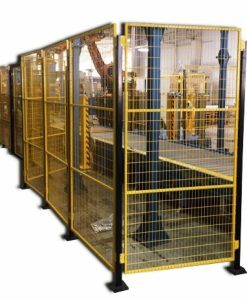 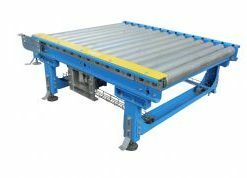 – At the end of the winding process, the stretch is held by automatic holding, then it is glued and the pallets are cut off and is taken out from the line. .
– Standard stretch save (SSG) at 1×3 Ratio) . 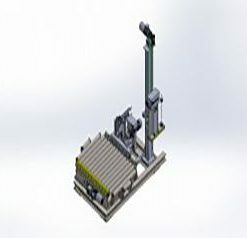 – Stretching without tilting the product with opening head with load control system (VLC)) . 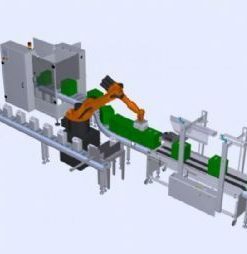 – Operatorless production (NNO) due to properoperation to synchronize with the line . 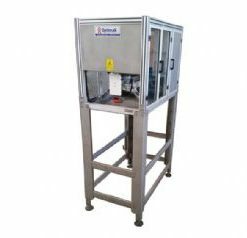 – Top Film Closing System. 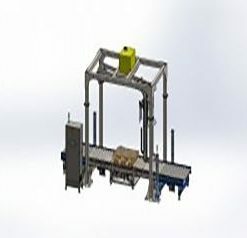 – the external stationary palletfrom the line feeding system. 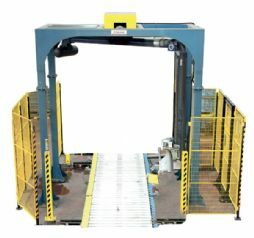 -Stretch ball handling system with front extension.